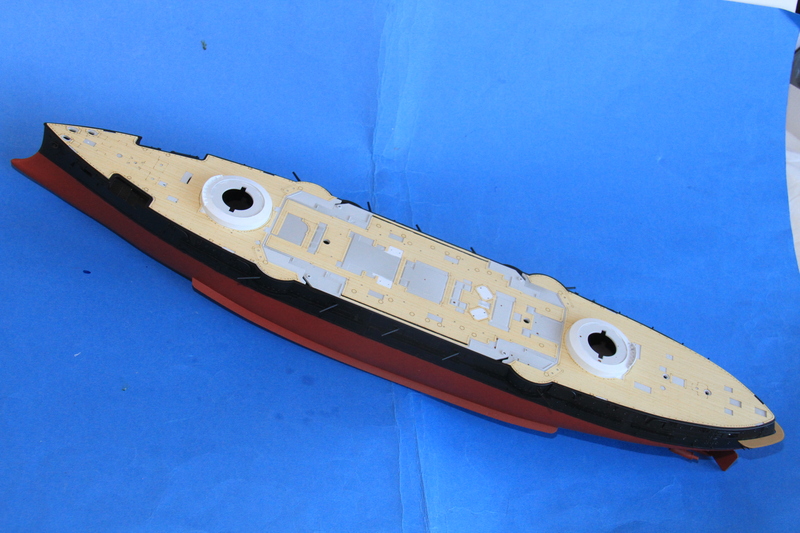 She is coming on, must admit I am looking forward to getting the deck laid. 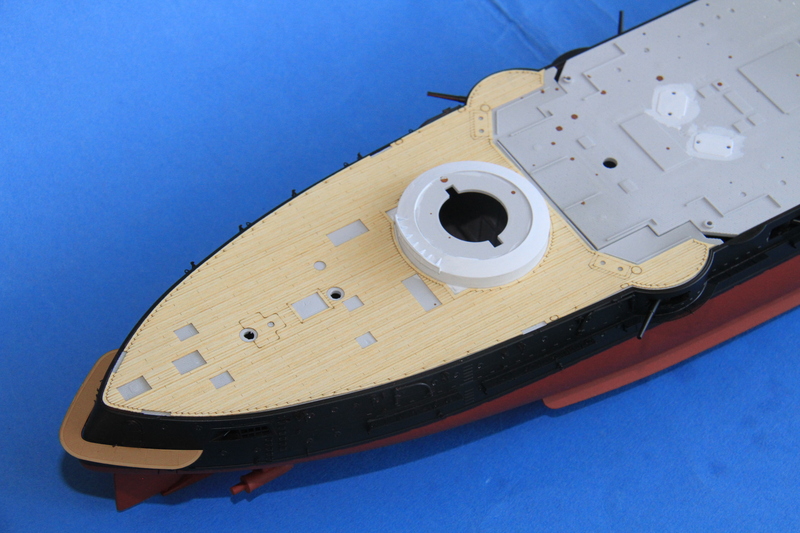 Wow, Si, with the application of some paint those etch details on the hull really start to pop! Wow Si, that looks great!! I will admit that I was a little concerned it would get lost under the dark finish. Will be heading for the bench shortly, so you shouldn't have long to wait. 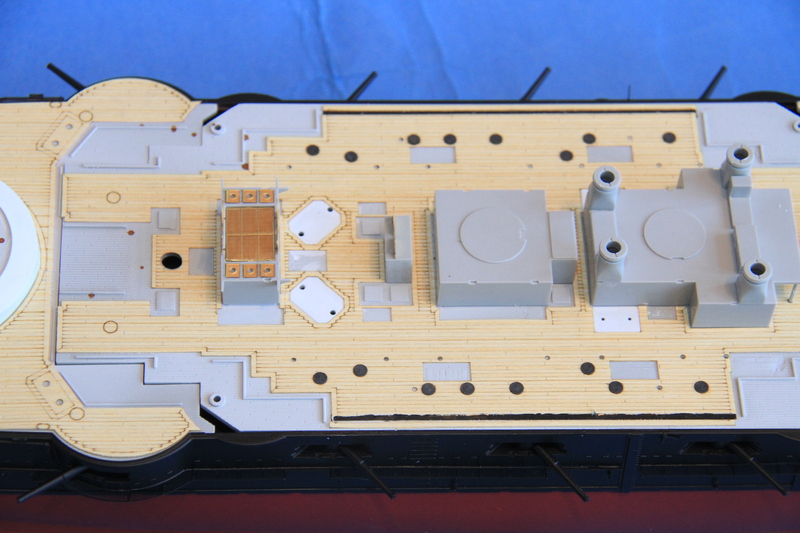 It is quite a different build, much more etch going on the hull sides, much less "structural" etch (although there will be some on the upper bridges). 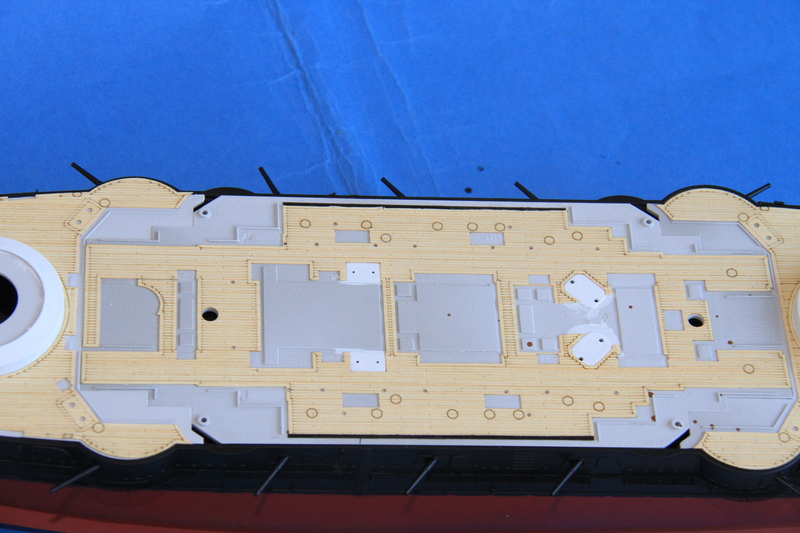 The wood deck parts, as supplied by Pontos. 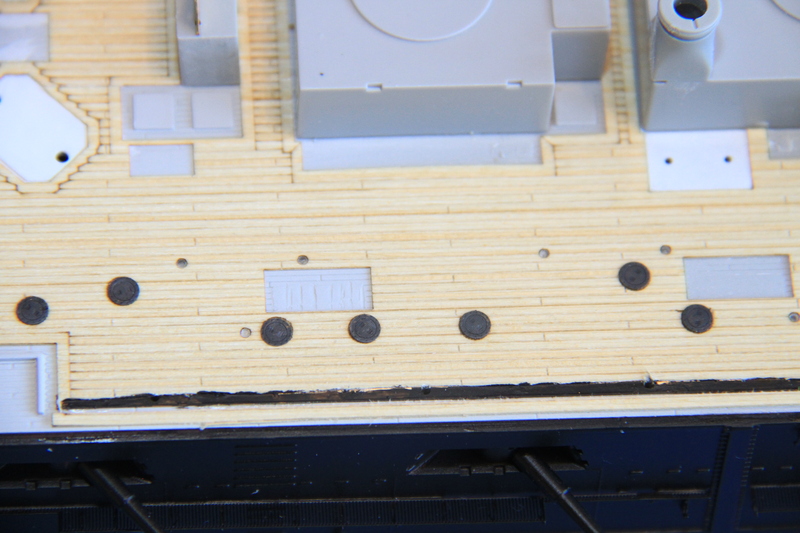 The fore and aft bridge sections are quite easy to mix up, so I marked them for when I take them off the sprue. 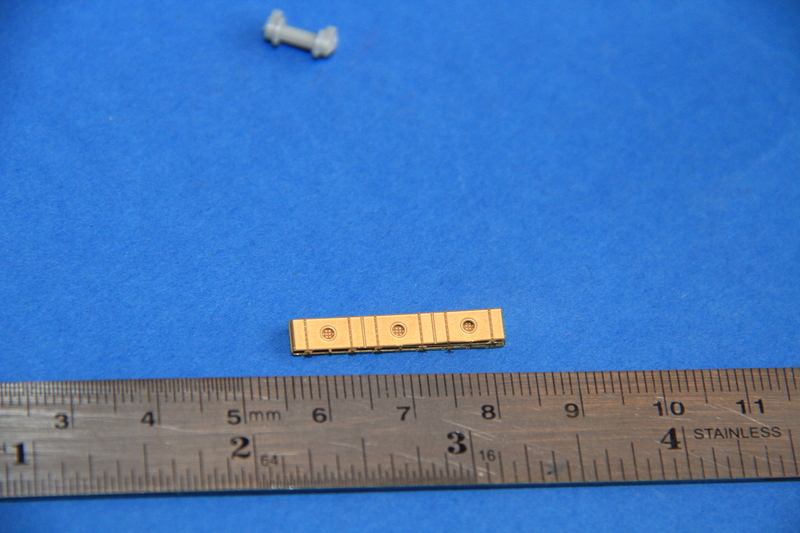 I will be using these parts to help me get the deck sections on straight. The bow section in place. 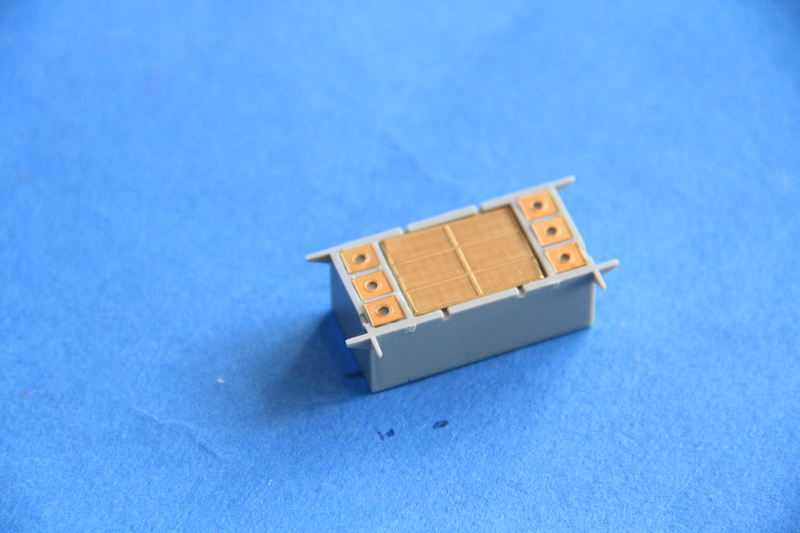 The hawse holes in the kit seem a little small compared the deck, will wait until test fitting the anchor ways before making any decision about what rectification, if any, needs making. 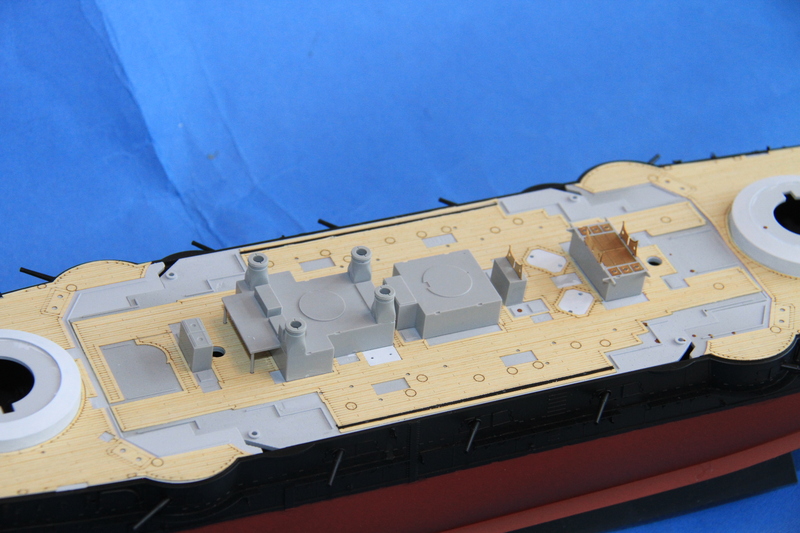 Prior to fitting the centre section of the deck, the mounting plates for the 3" guns need putting in place. 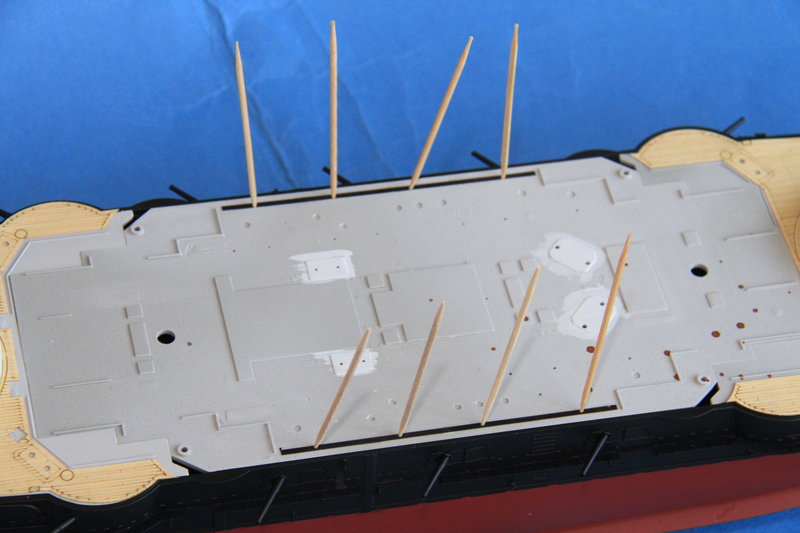 the strips were glued with extra thin gator glue, and a cocktail stick placed in each hole to keep them lined up whilst the glue dried. Last bits in place, the deck is down. 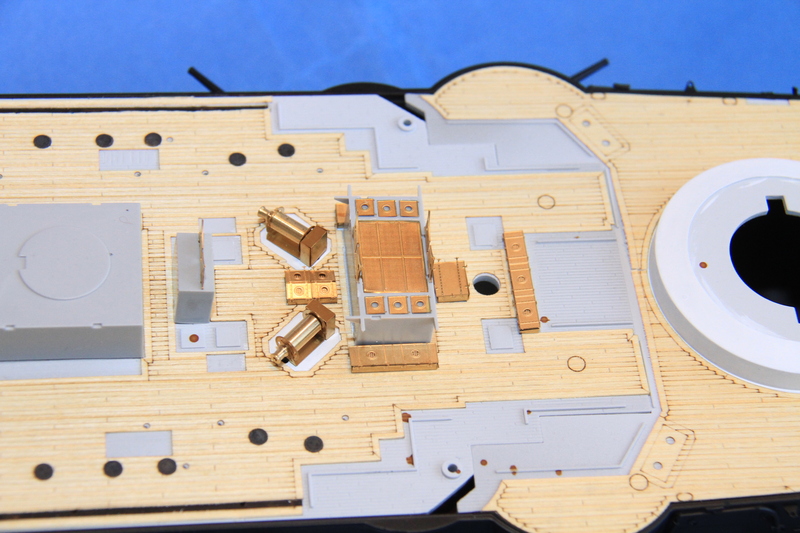 Those wood decks look fantastic, particularly on larger scale models! They do that Mark, certainly looks better than any paint job I could do. It is always nice to have a change from grey. I keep telling myself not to buy wooden decks... But your's really makes a difference. I rather have fallen to the dark side with wood decks, particularly in the larger scales. They do take a little preparation and planning, but I don't think I could achieve anything like the effect with paint. The funnel casings and other centreline structures in the centrecastle. 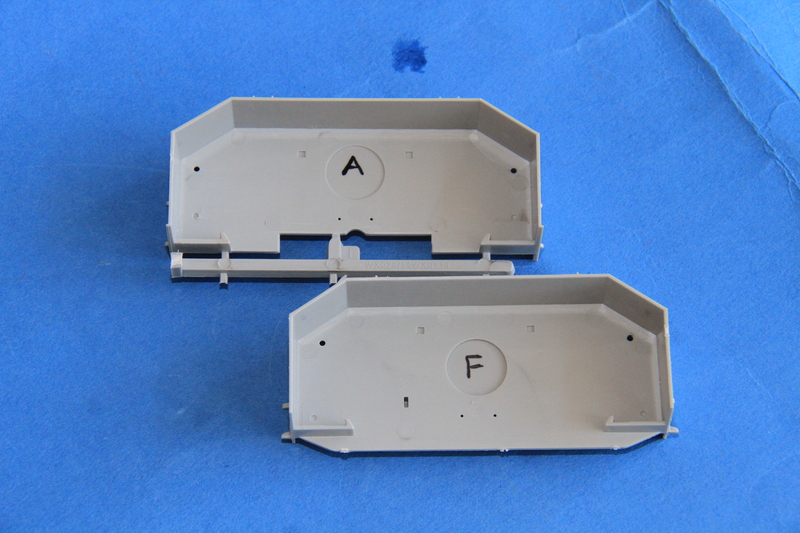 The coaling hatches, they have some nice etched details, rather paint the black, I went for dark grey with a heavy black wash.
A close up, that seems to have worked ok.
will take a comparison shot next time. Agree nice work with those coaling hatches. 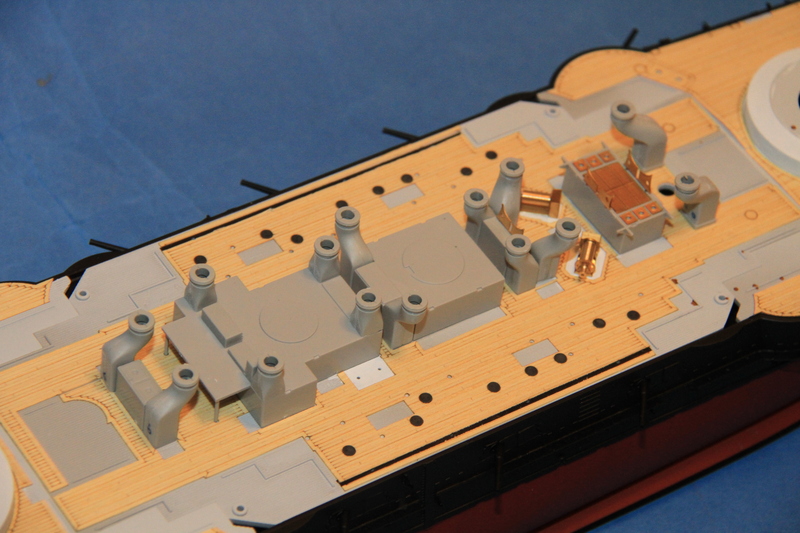 Where you able to glue them to the deck or to the wooden deck? 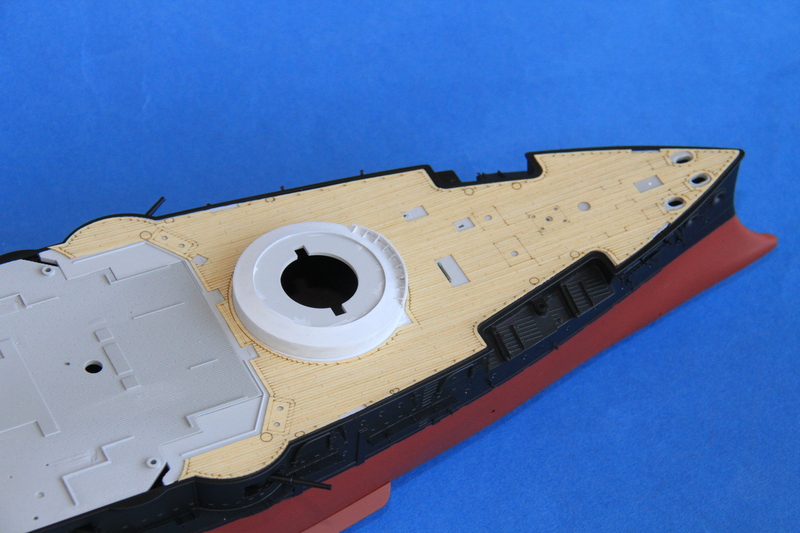 When I built my Dreadnought the wooden deck was to thick and the hatches looked recessed and not flush with the deck. I really wasn't happy with the look and had to raise them up. After that I started to paint my decks. The etched detail is so nice I thought it would be lost if I painted them black, I am quite pleased with the result, I think I will use the same technique on the anchor ways. That sounds a real pain mate, these fortunately went on top of the wood deck. Was a bit of a gamble, just glad it worked, will be using it on the cable ways too, maybe some rusty wash on that as well as the black. 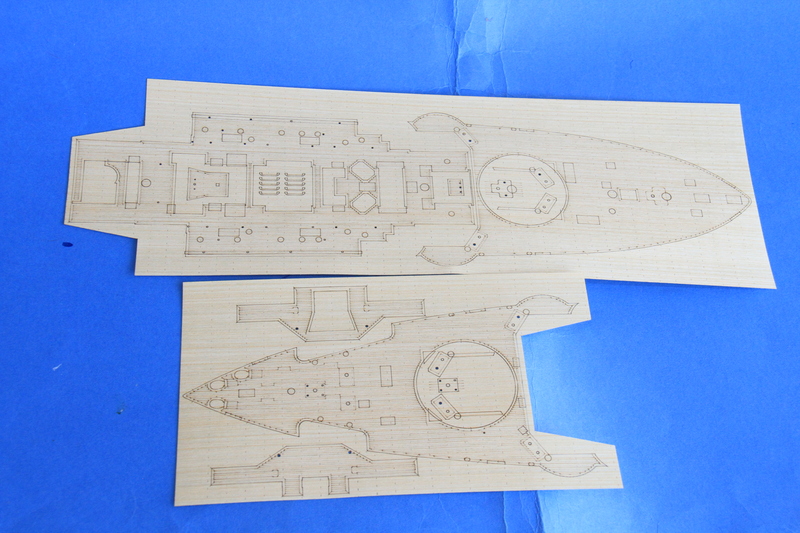 the wooden decks and the etch work look really cool!! Nice work on this one as well!! The deck was a great fit, and the etch is nice to work. Appreciate you looking in mate. As promised, comparison between the kit and replacement winch. 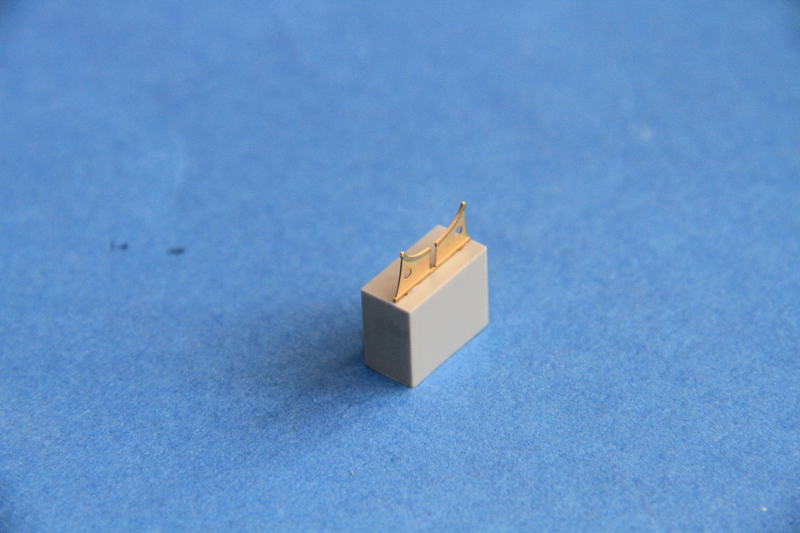 I have numbered each one, on a side that doesn't show, to match the sub stages in the instructions. everything test fitted in place. 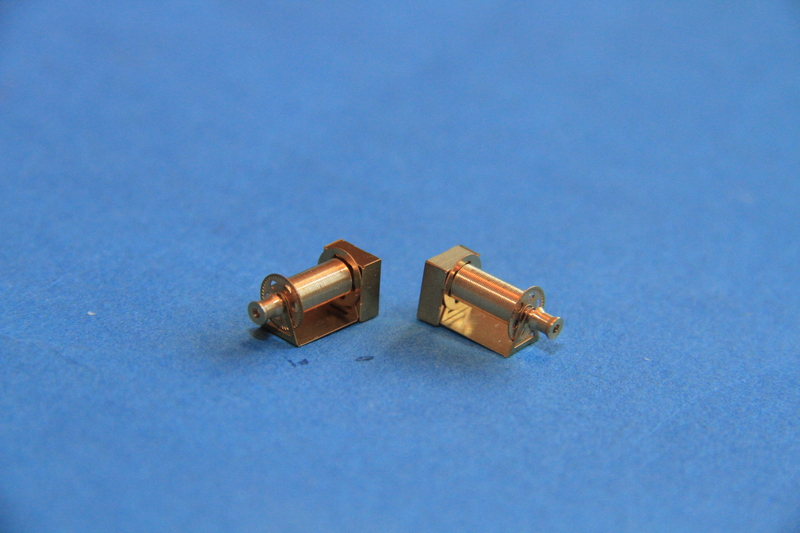 Cable reels, replacements compared to the kit parts. 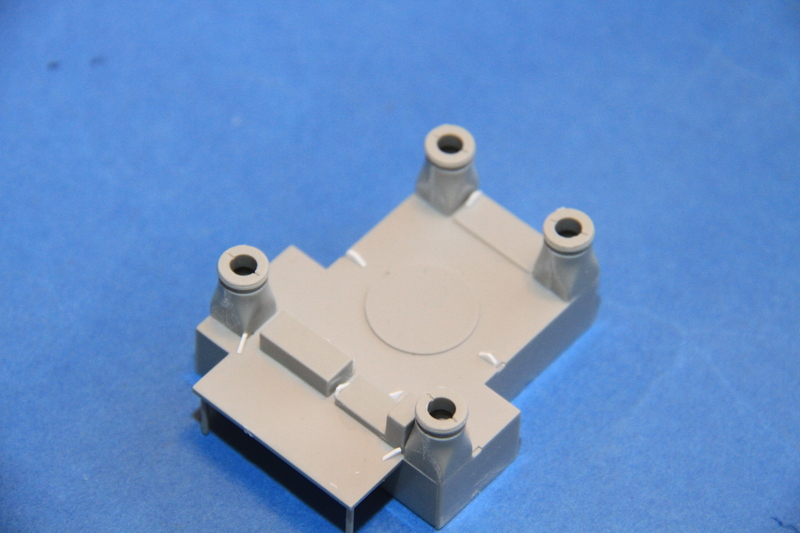 The upgrade set comes with replacement etched skylights, these are well thought out. 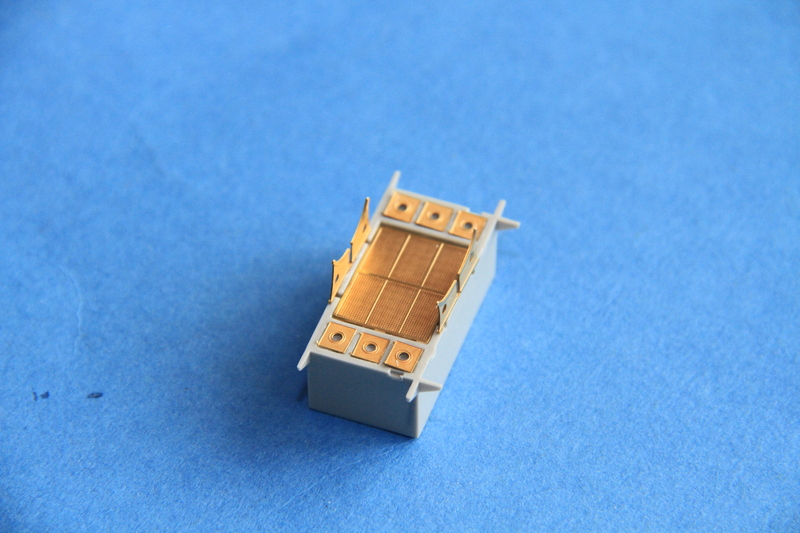 The basic box, with a mesh. Sorry, different one, with the hatched fitted. The plan is, once sprayed white, give grill a dark wash, and glaze with Krystal klear. Might even display one or two open. 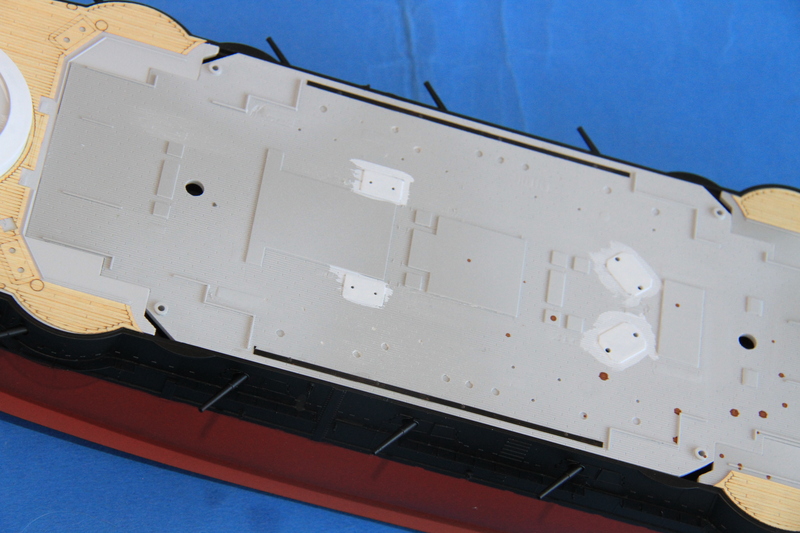 Skylights and hatches test fitted in place. 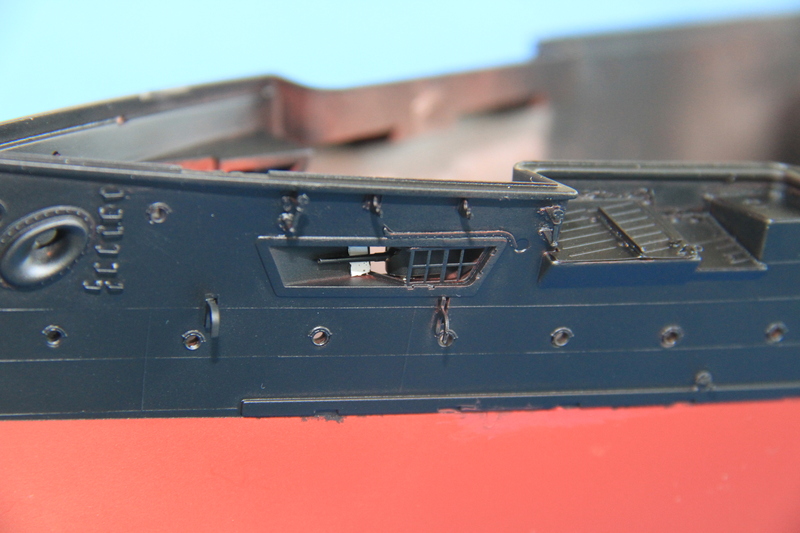 The only very slight flaw / omission in the pontos set I have found to date, whilst rigging attachment points are supplied on the centrecastle gangways, none are supplied for the funnel casings, so some small sections of plastic strip have been shaped and fitted, fore funnel casing is the only section done so far. 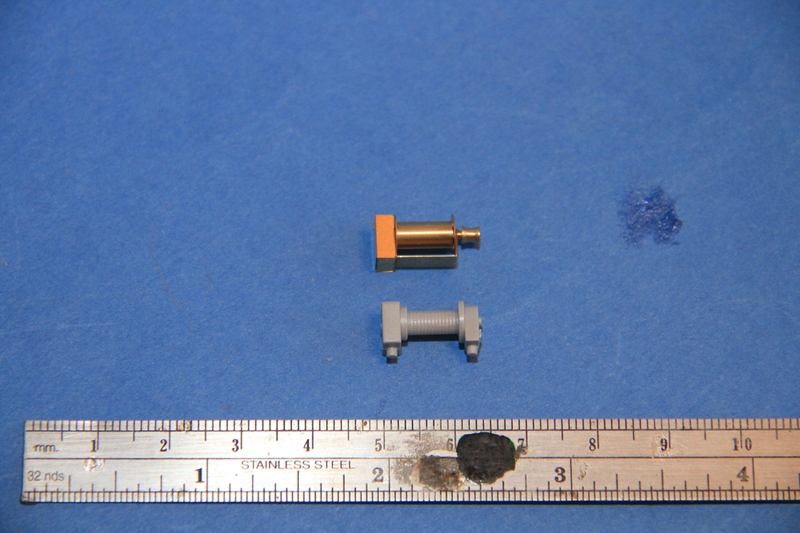 The Pontos replacement parts really make a difference. 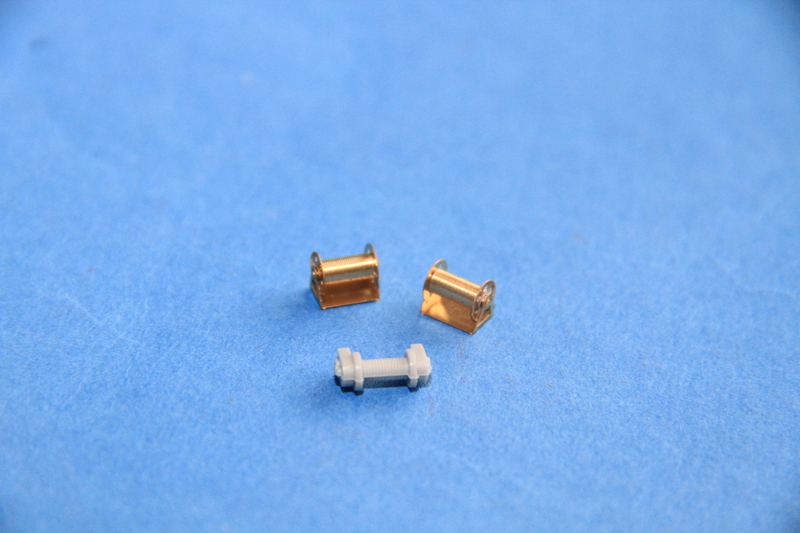 In every case they represent improvements over the kit parts - which themselves are usually not bad. 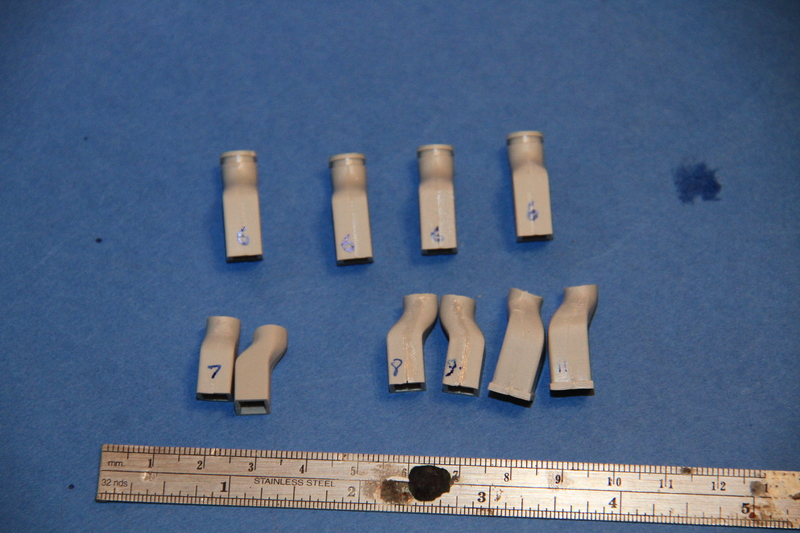 An exception is the cable reels; the kit parts look crude even for 1/350 much less 1/200. 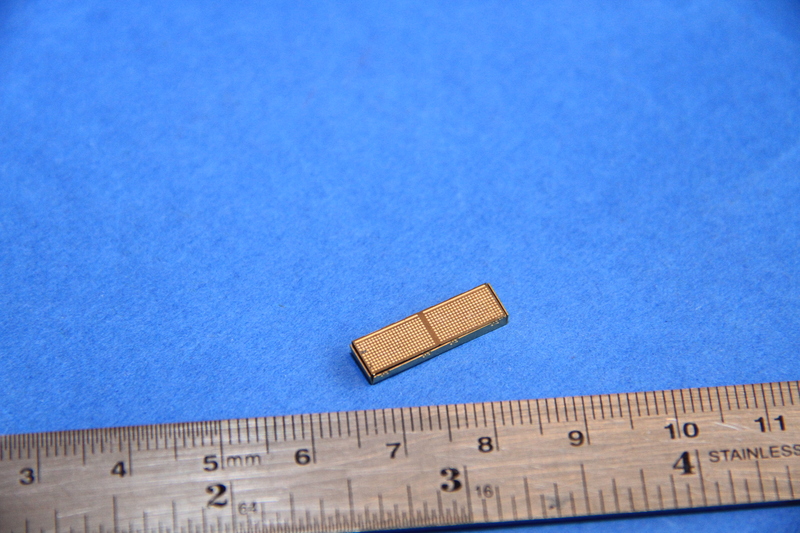 The etch replacements sort them out nicely, though!